It’s important to me for us to eat well balanced, healthy meals. I usually have our menu planned in advance, but some weeks things just don’t seem to come together the way I’d hoped they would. Other weeks they do. But, no matter the week, the outlook is always a little better if I have a few staples on hand. Some, like eggs, are just good to have around. There’s always something to eat when we’ve got eggs. Eggs + lentils + sweet potatoes = lunch. An egg over pasta = dinner. 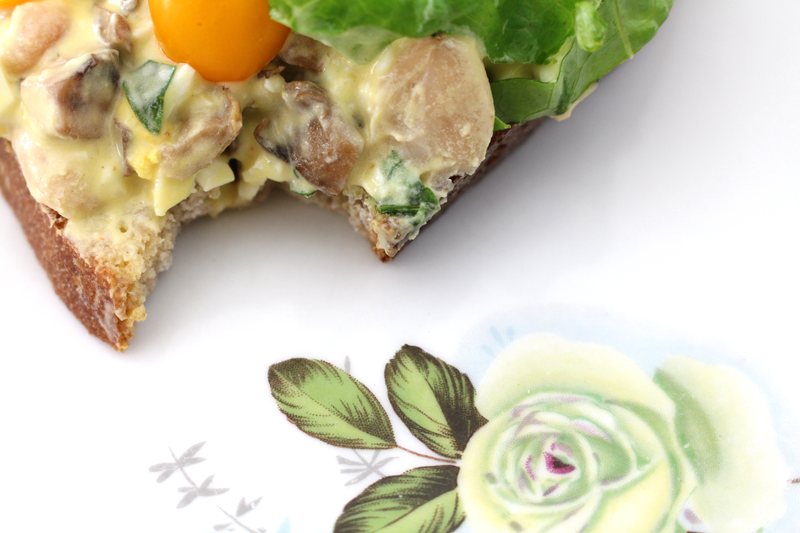 Eggs poached in some leftover soup = a quick, easy, comforting meal. For this we have eggs. Some other staples that I always try to have on hand are: cheese, milk, bread, yogurt, nut butter, nuts, and chips and salsa. 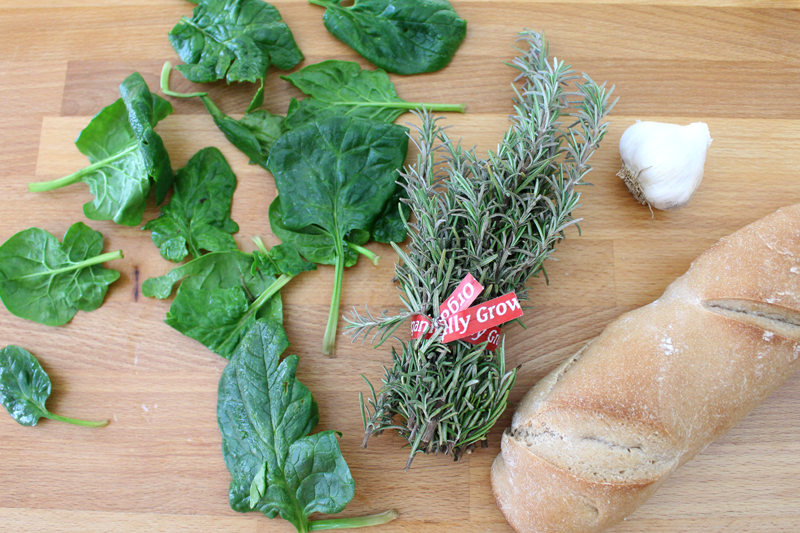 With these ingredients I find it much less intimidating to plan a menu, or just a quick meal when what’s meant to be made isn’t happening. 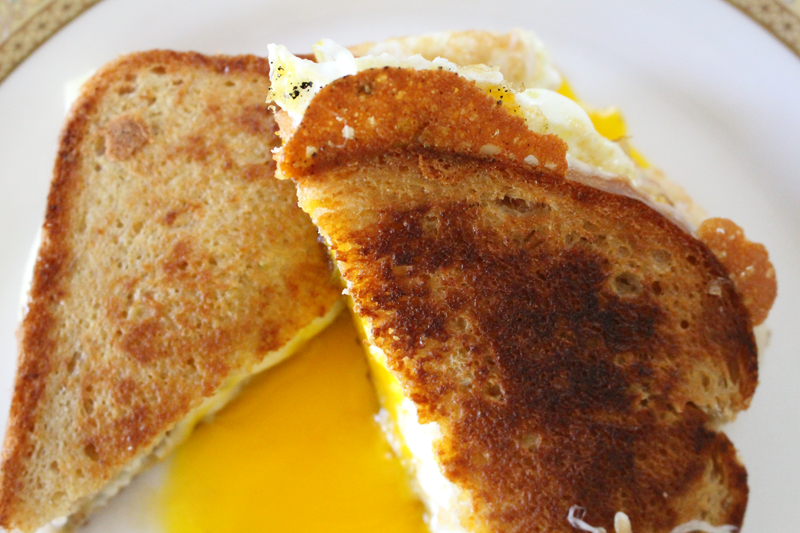 Grilled cheese has been a favorite of mine for as long as I can remember. Grilled Cheese and Tomato Soup remind me of rainy days growing up, and are one of my all-time favorite comfort foods. Now, as a grown up, grilled cheese and any kind of soup is on the menu often, especially at this time of year. It’s quick and easy, which is perfect for this busy season. I do most of the cooking in our home. I like it like that. But, every once in a while Tim comes up with something and I just kinda shake my head in amazement. There’s not much that he’s not good at. Cooking included. 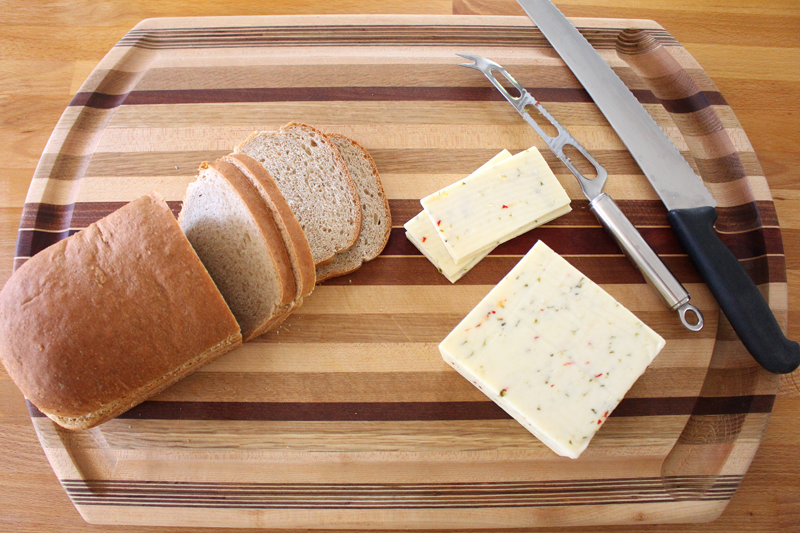 One evening, after he’d worked late, he came home and made himself a grilled cheese. I’d already eaten dinner, so I said that I didn’t need one. I regretted that decision later. He’d put mustard and butter on the outside, and added sliced pickles to the inside. It was delightful. 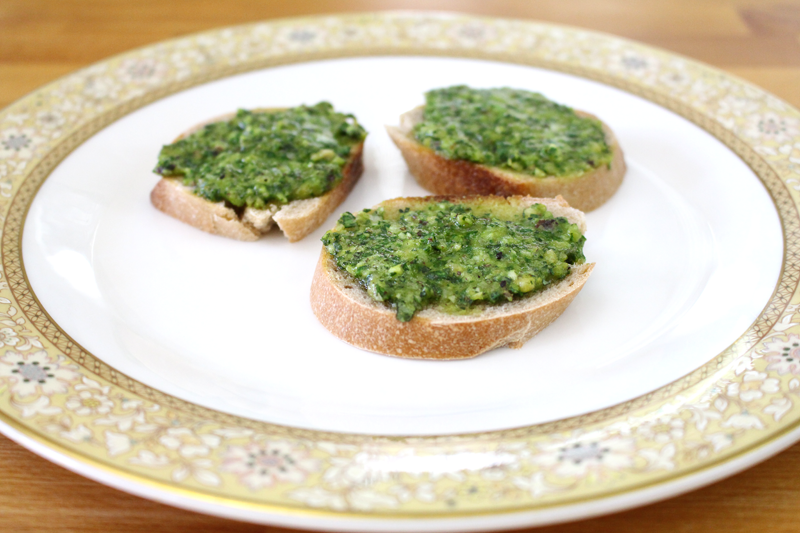 So for this recipe, I took a page out of his book and added mustard to the olive oil that I like to spread on the bread. The mustard goes down first, oil second, so the oil will kinda protect the mustard from burning. 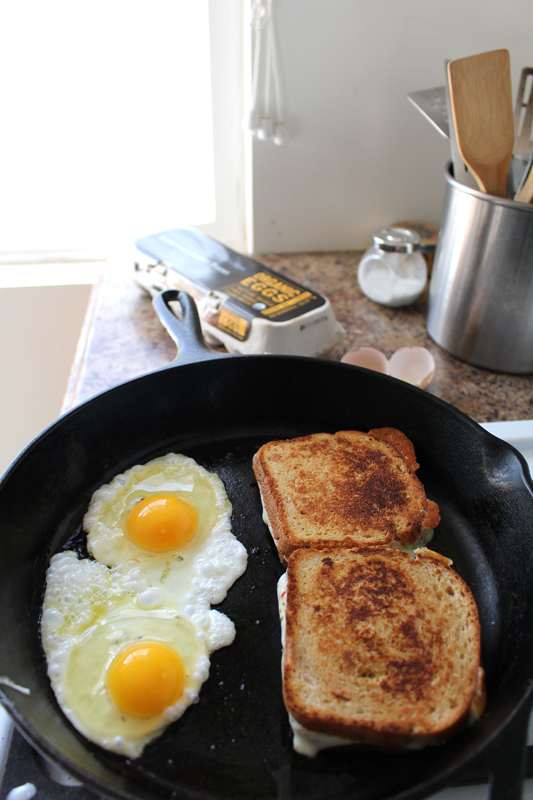 Once the sandwiches are mostly cooked, I like to scooch them over to one side, and slide the empty side of the skillet over the flame and add a little more olive oil and some eggs. For me, a well seasoned cast iron skillet works best here. I like to turn the heat up a bit so the edges of the eggs get a bit crispy in the olive oil. I like my eggs over medium (runny yolk, set whites) and the high heat helps me to accomplish this. I flip the eggs carefully, turn off the heat, and let them sit for a few seconds for the whites to finish. During the summer when tomatoes are in season I’d probably add a few slices, and maybe some lettuce and homemade mayo. Right now, just an egg will do. 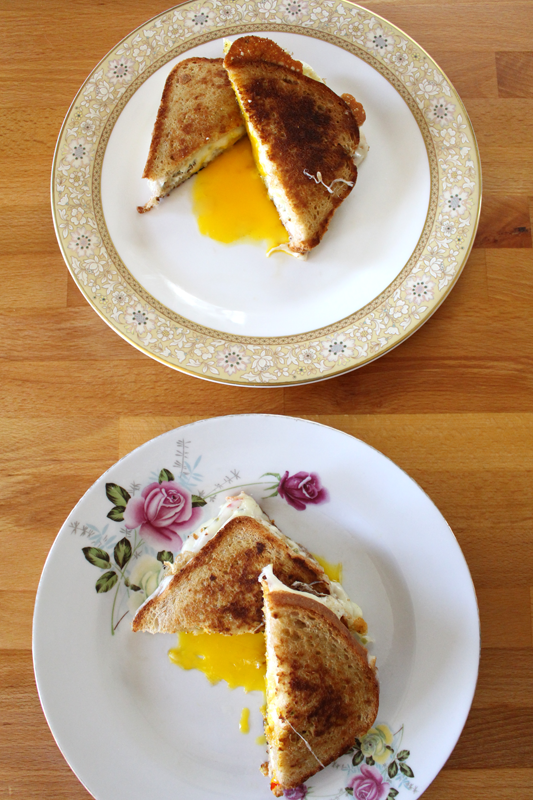 If the yolks are still runny, I love to sop ’em up with the sandwich… Making sure to have a napkin on hand, as these tend to get a bit messy. 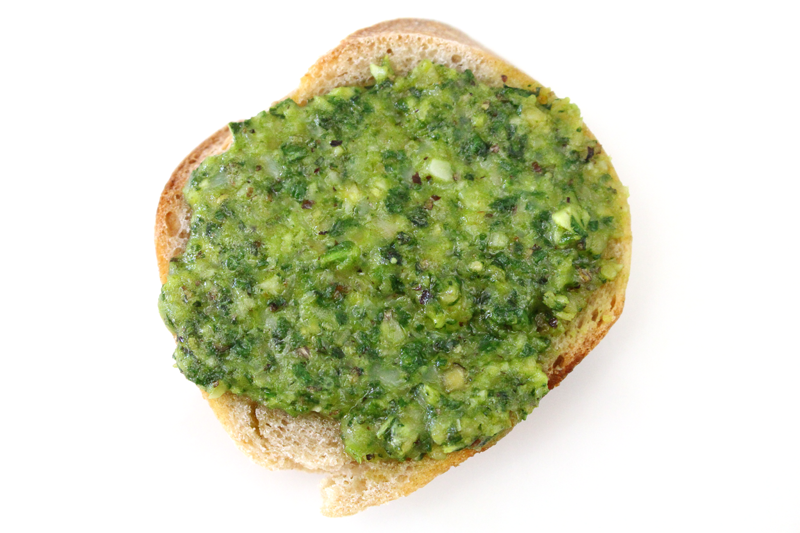 Spread dijon and olive oil on the outside of each slice of bread. Sprinkle with salt. 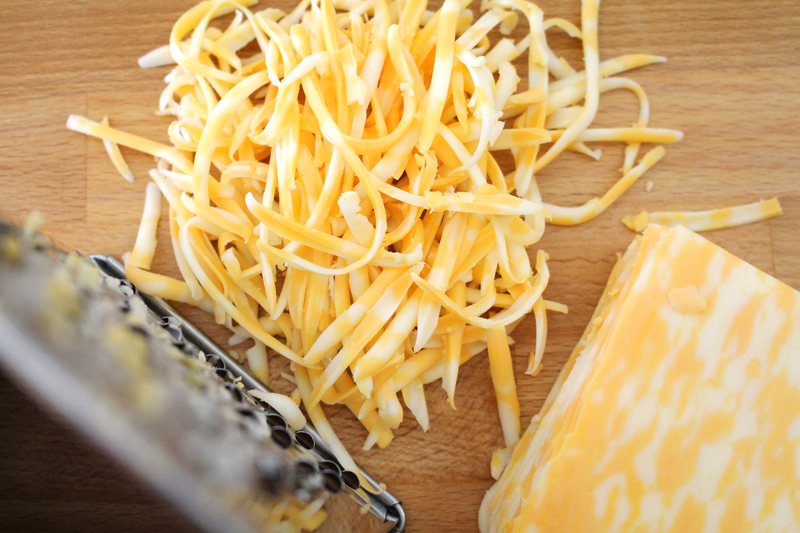 Put cheese on the un-mustard side. 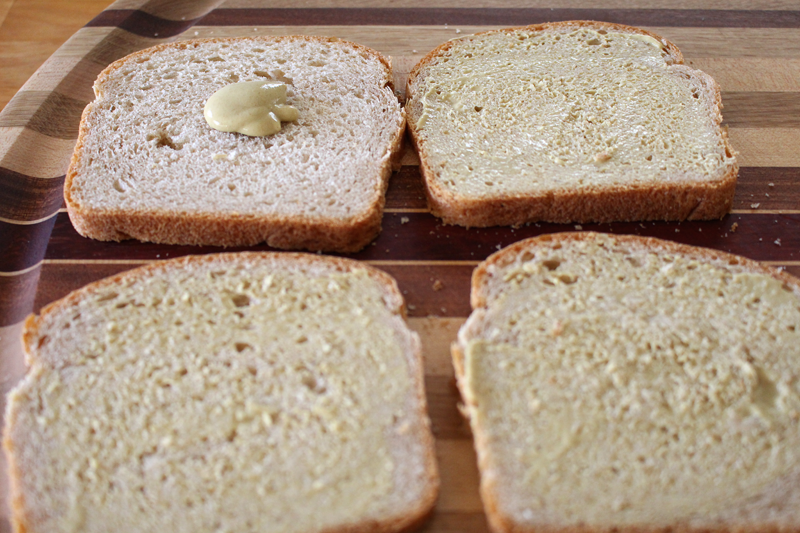 Close sandwiches (leaving both mustard sides out). Heat a skillet over medium-low heat. When it's hot add the sandwiches. Cook for 4-5 minutes on one side, turning to be sure it's browning evenly if needed. Flip and cook for a few minutes more. When they're almost done, push the sandwiches to one side, and move the other side over the flame (or if using a smaller skillet, cook sandwiches until done and remove them from the skillet). Turn the heat up a bit and add some olive oil to the pan. 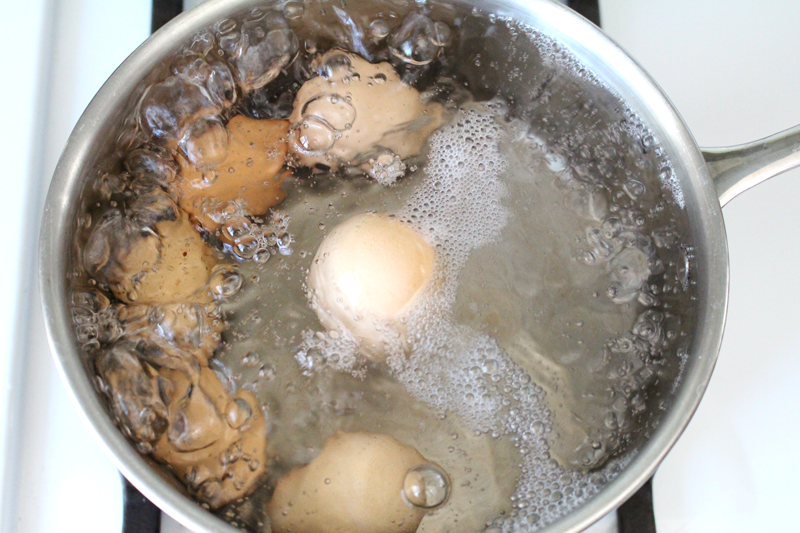 Add eggs and cook, flipping if desired, until they reach desired doneness. Salt the eggs. 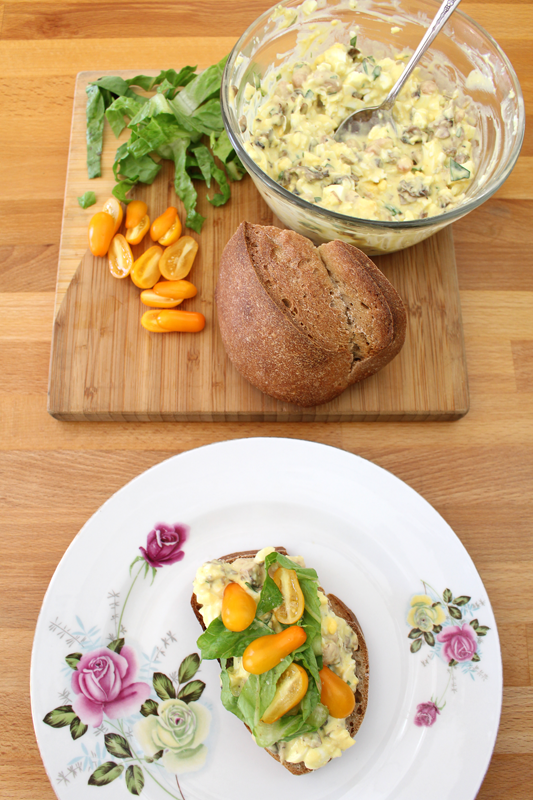 Open the sandwiches and top each with an egg. 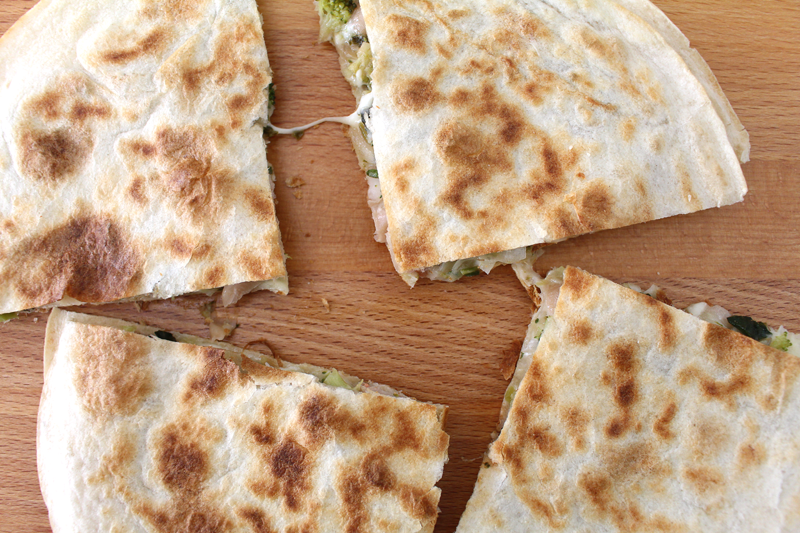 Slice each one in half to serve. 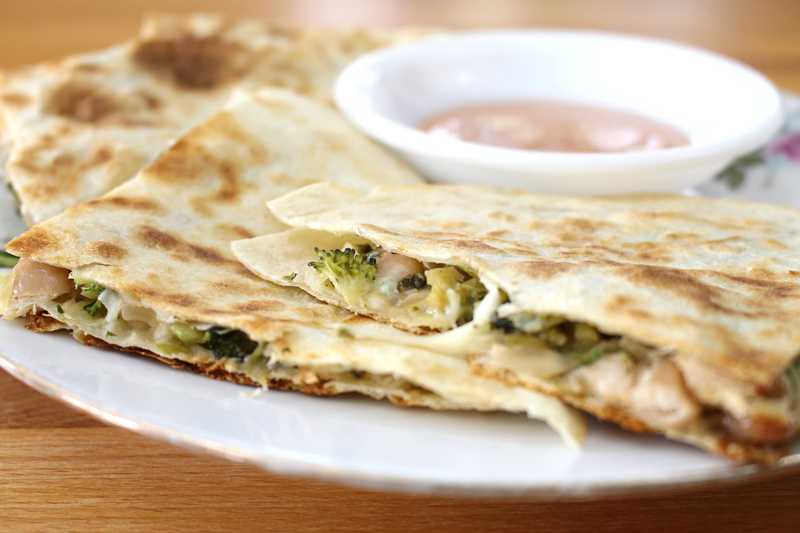 I came up with this recipe because we’re entering broccoli season. I’m pretty content to just roast it and finish off the entire pan. But, diversity can be good, so I thought I’d change things up a bit. My skillet of choice is almost always a cast iron and I’ve acquired many over the years. Most were found at thrift stores and yard sales. Some look to be old old old, some are new and are branded with the name Lodge. I love them all. 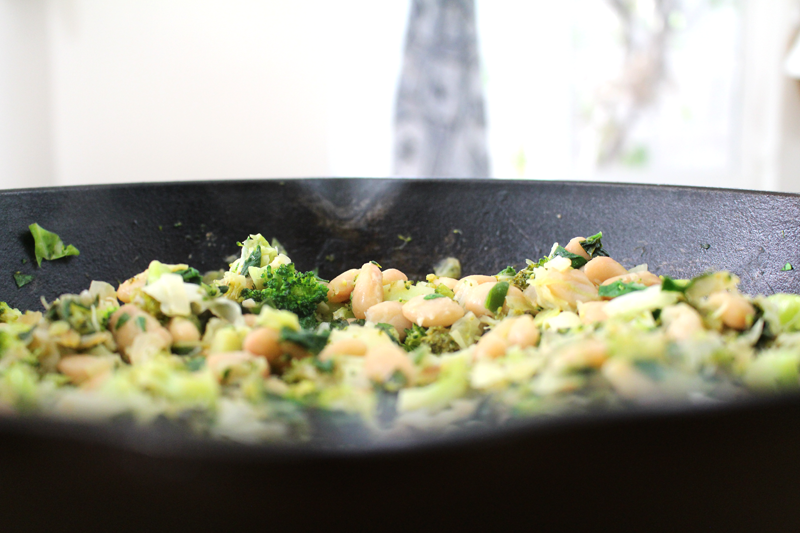 The cast iron helped the broccoli to get a bit browned, a little tender, a little crispy, just the way Tim likes it. I added garlic and ginger at the end, just to take a bit of the bite out. 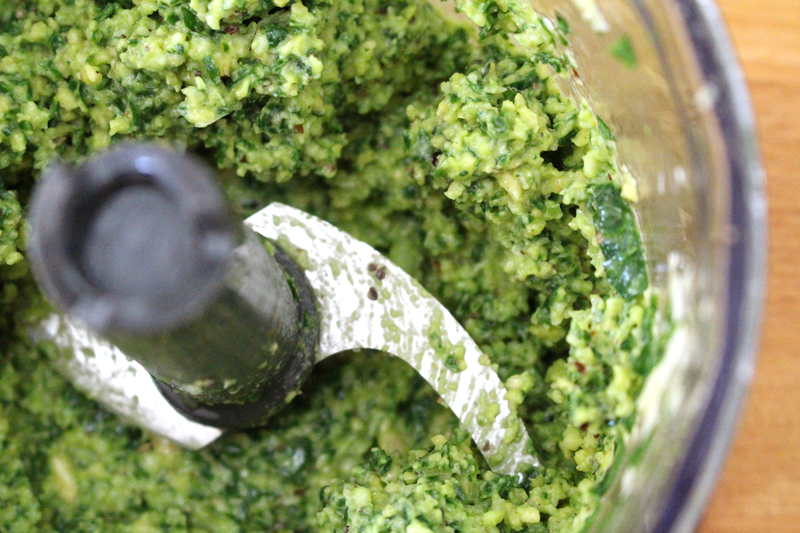 I’m all for raw garlic, but sometimes the flavor is best softened a little. While the broccoli cooked, I whisked together the dressing. It’s a quick and easy mixture of goat cheese (which apparently I no longer hate), mayo, yogurt, and fresh herbs. It totally makes the dish. 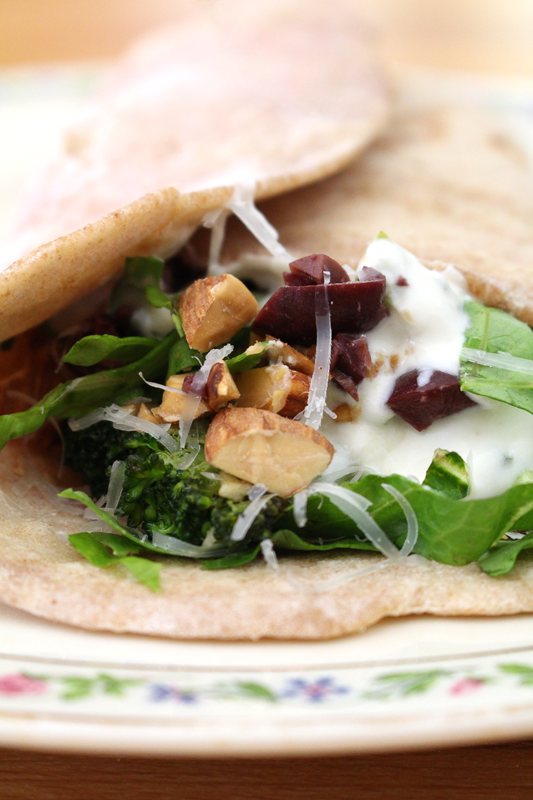 If you’re not into goat cheese, try feta. If you’re not into mayo and yogurt, try silken tofu. 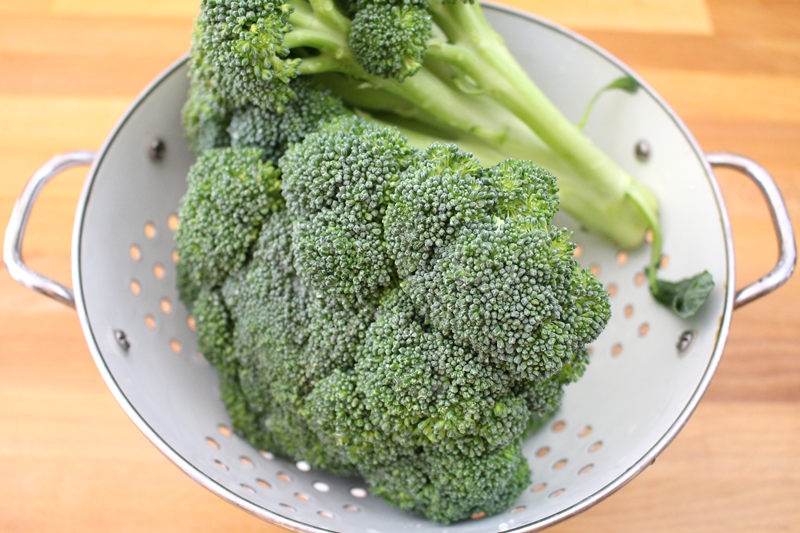 If you’re out of broccoli, give cauliflower, onions, shallots, leeks, carrots, radishes, bell peppers, mushrooms, chile peppers, or summer squash a try. The other thing that Tim mentioned was that the homemade tortillas that I’d made were the perfect vessel. They were still a bit warm, soft, and a little thicker than the store bought ones that we usually buy. I’ve been working with a sourdough starter over the past week and a half. When you’re refreshing a starter you have to discard some of it. Since I can’t stand to waste food, I’ve been making it into pancakes and tortillas. 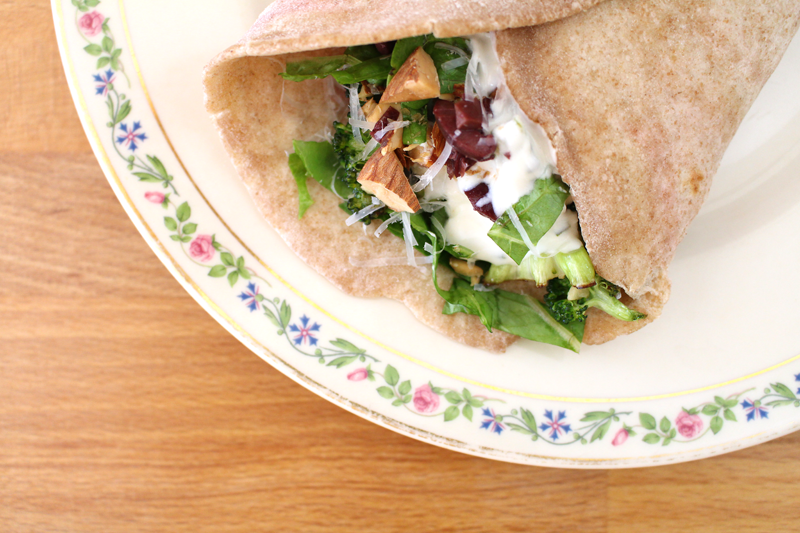 You could also use lavash, pitas, or any flatbread that you have on hand. 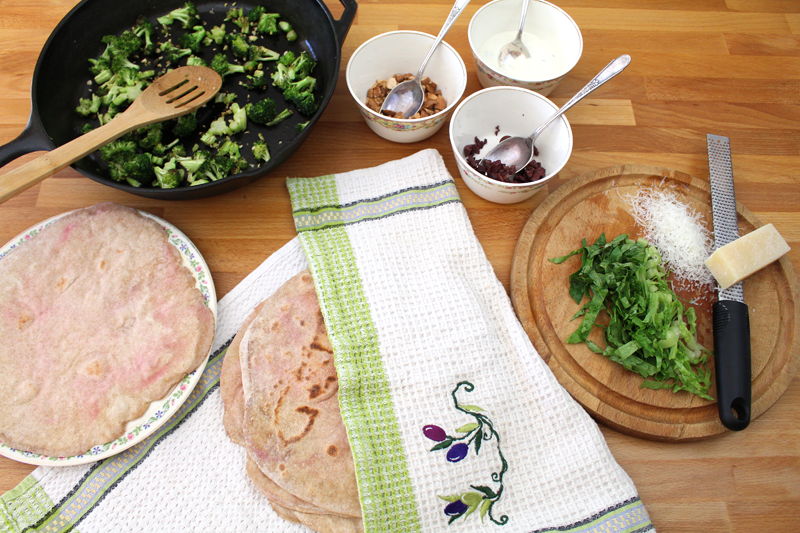 Or, if you feel like attempting some homemade tortillas, I’d say go for it! Since we’re into December now, I tried to make the tortillas a bit festive. See how they’re kinda pinkish? They were meant to be a little more red. I used the beets that I steamed when I was working on the Twice Cooked Beets post and just pressed them onto the uncooked tortillas. I don’t normally use food coloring and prefer not to buy foods with added coloring, so it was fun to experiment and see what I could come up with. Pink. I’m ok with pink, even if it’s not as festive as I’d hoped. Hey, and speaking of festivities, if you’re hosting over the holidays and you have a houseful of people, you could prep most of this dish in advance and have a ready and waiting lunch. 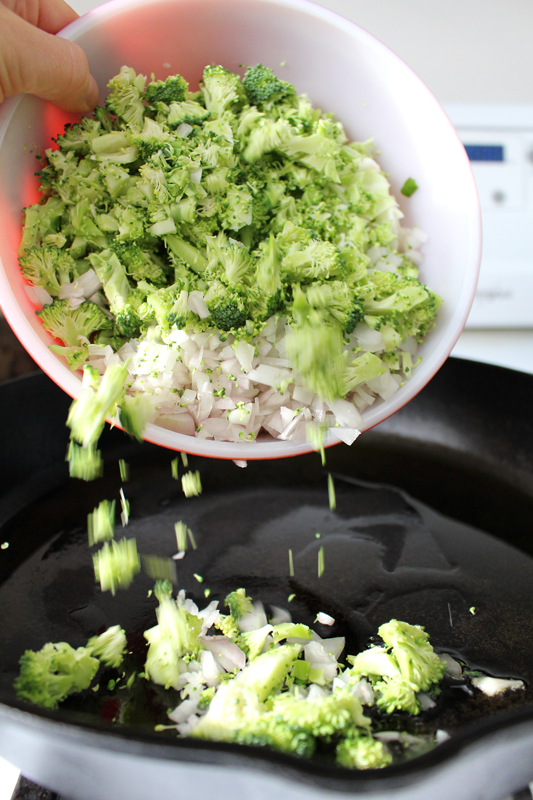 Just warm up the broccoli when you’re ready to eat. If you’ve frozen last week’s leftover turkey, you could add that too (just let it defrost in the fridge for a day). 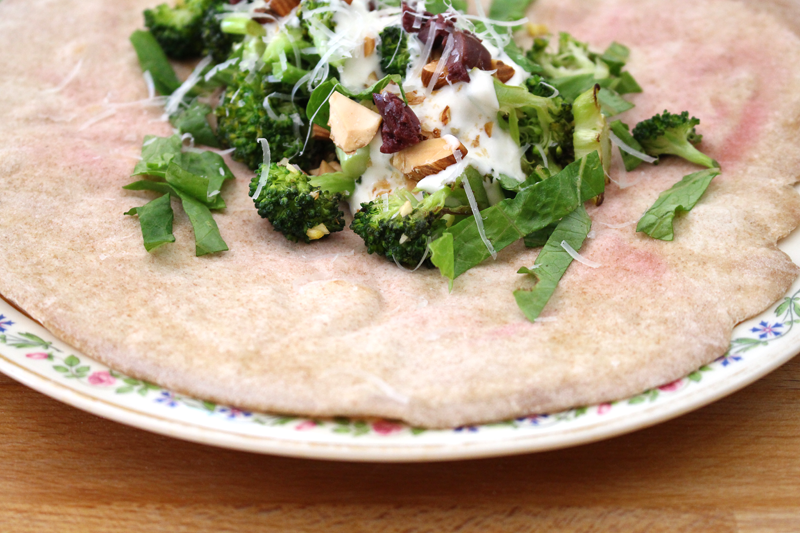 Or, add some scrambled, fried, or poached eggs or crispy tofu and turn this into a breakfast wrap. If you have leftover dressing, set out a platter of veggies and dip that evening for people to munch on while you finish dinner. Heat a skillet over medium-low heat. Add oil. 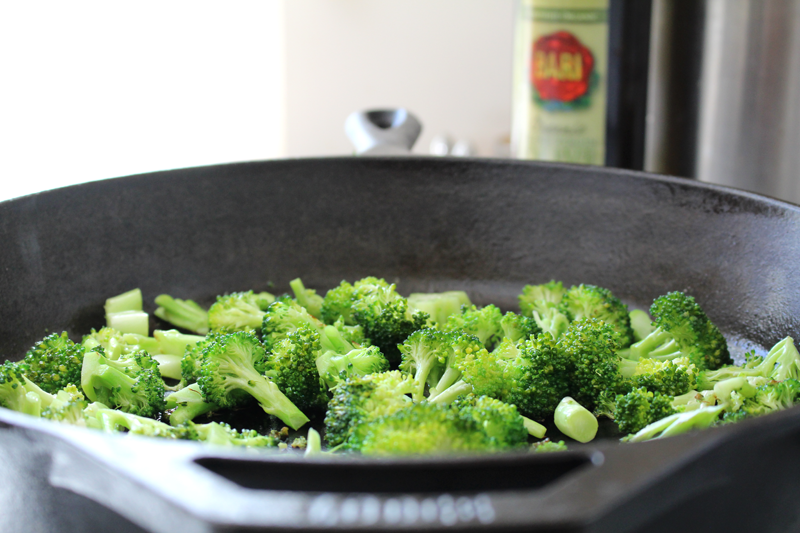 When oil is hot, add broccoli (and other veggies, if using) and salt. Cook for 7-8 minutes, stirring occasionally, until veggies are tender-crisp. Add garlic and ginger and cook for 1 minute more. Remove from heat and set aside. Whisk together vinegar through salt. Taste and adjust seasoning if desired. 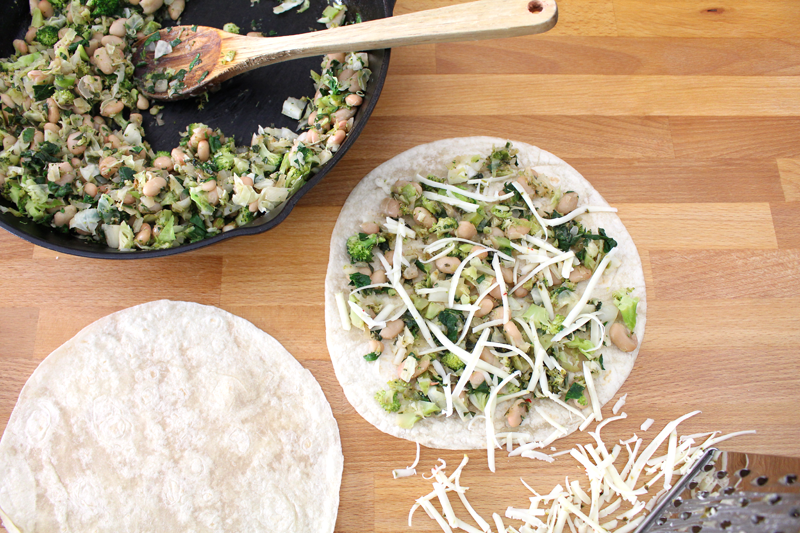 Divide veggie mixture between tortillas. 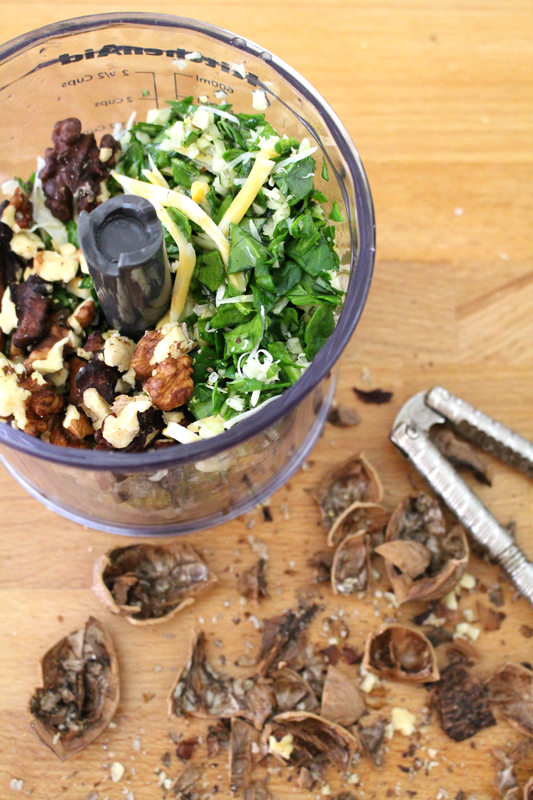 Top with dressing, olives or capers, nuts, greens, and parmesan. Roll up to serve. Eggs are a staple in our home. I feel a little lost when we’ve run out and I forget to order more. We eat them fried in olive oil, so the edges are crispy. I whisk them into a soft mayo. I crack them into simmering soup to poach. I use them to make shiny pie crusts and pain au chocolat. 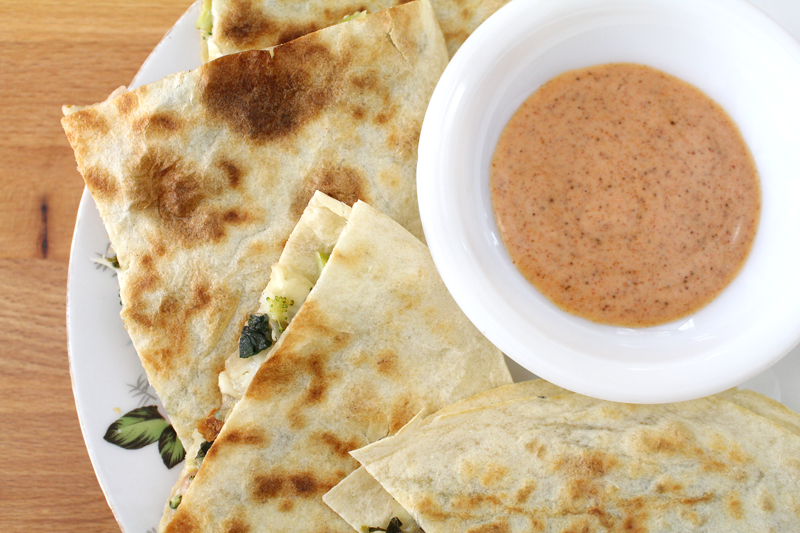 They are versatile, delicious, and go with so many things. Whatever the mix ins, they’re added to the base. It’s mixed up and tasted for salt (and because I’m starving and can’t wait to eat). 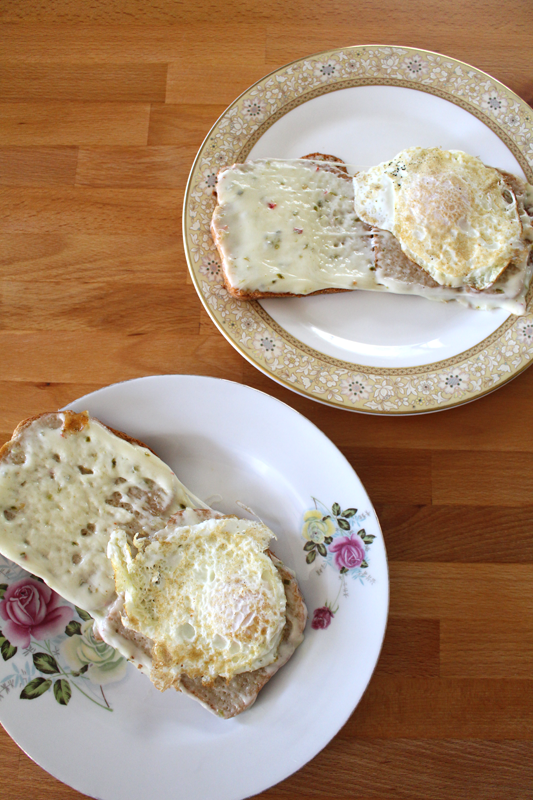 Depending on the type of bread and how hungry you are, you might opt for the messier open-faced sandwich. I did and hand to dunk my hand in my water glass so I wouldn’t get food all over the keyboard. Worth it. The mushrooms add a meatiness, the beans add even more protein and texture, the tomatoes add a sweet hint of the last days of summer. If I’d been able to find bacon when I was grocery shopping, I’d have added some too. But, I didn’t, so, alas, that will have to wait for another day. 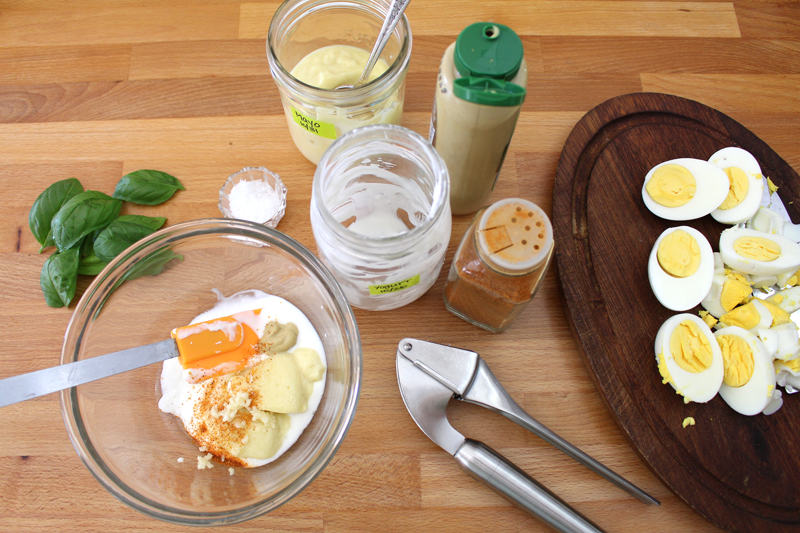 Combine egg salad base (eggs, mayo/silken tofu, yogurt/silken tofu, and salt). Refrigerate until ready to use. Choose desired mix ins and prepare or cook as needed. For original mix in recipe: Heat a skillet over medium-low. Add 1 t olive oil. When it's hot, add mushrooms. Cook for about 5 minutes then season with salt. Cook for 5 minutes more, stirring occasionally. Cool to room temperature. 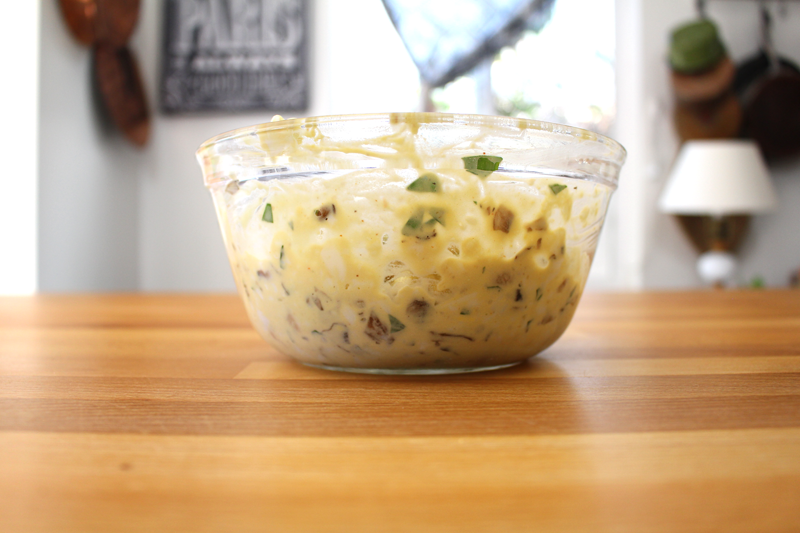 Mix egg salad base with mushrooms, garlic (can add in last minute of mushroom cooking time if you prefer for it not to be raw), basil, beans, cayenne, and dijon. Taste and adjust seasoning if desired. 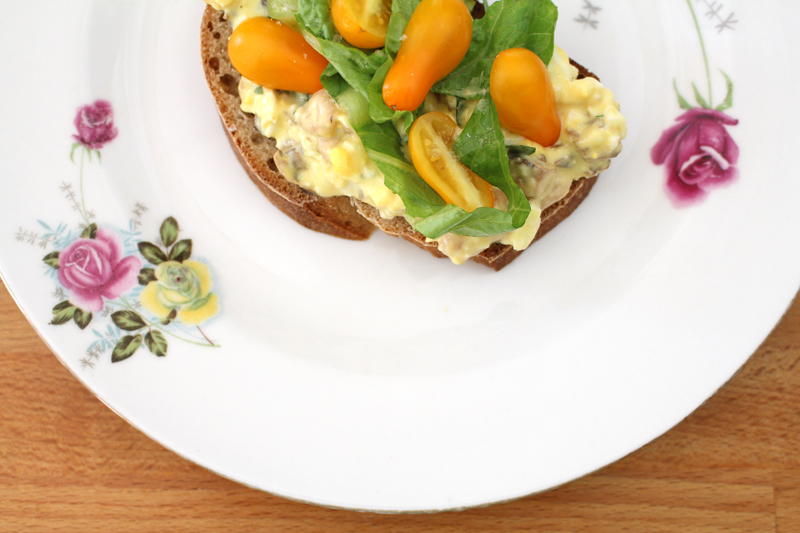 Serve on your favorite bread (toasted, if desired), topped with cherry tomatoes and lettuce.